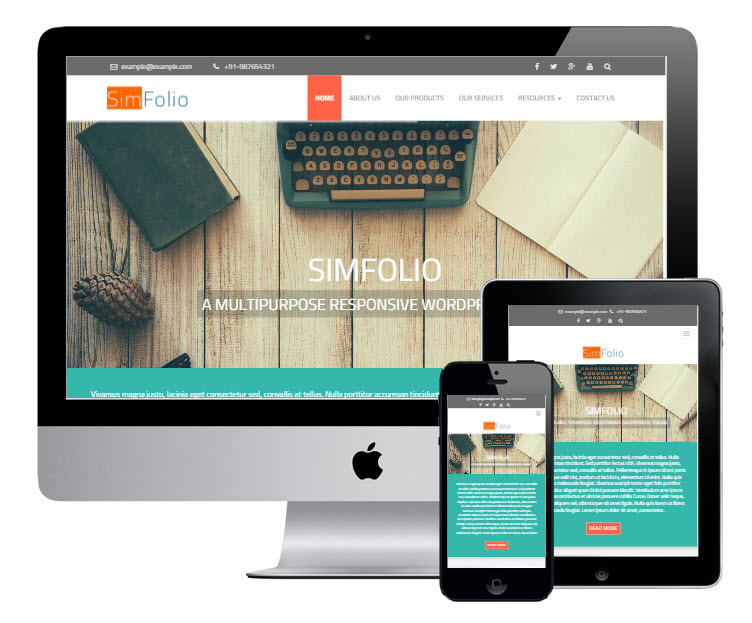 Simfolio is a responsive and light weight multi-purpose WordPress template which is built with Bootstrap framework. Simfolio comes with filterable portfolio and service modules to add your products/portfolio and services. Along with the portfolio and service modules, the theme includes contact page template. If you are looking for a simple wordpress portfolio theme for your project then Simfolio WordPress theme is one of the good options for you. Below are the features of Simfolio WordPress theme. Simfolio comes with responsive design to fit in all the devices including PC, tablets and mobiles. The theme features index like homepage which briefly displays your services and recent portfolio along with the short description of your company. Simfolio template comes with filterable portfolio where you can add your products, your portfolio or gallery. This portfolio supports both categories as well as tags to classify your products and make them more accessible. Is your company providing multiple services? Just add all of your services in the “Service” module, which is displayed on the homepage. You can also create a separate page for your services by just selecting “Our Services” template in the wordpress backend. The theme comes with contact page template which adds your social media links and Google Map to your contact page. The theme is equipped with SiteOrigin’s drag and drop page builder which let you create responsive columns for your pages with your favorite widgets. The Crelly slider installed in the theme let you create animated layer slider with nice transition effects.